People from Oklahoma City to Austin reported seeing a flash of light in the sky Wednesday night. The Federal Aviation Administration said the light was a meteor. People reported seeing it about 8 p.m.
A Grand Prairie resident who lives near Joe Pool Lake said the meteor had a reddish-white ball in the middle and a tail that resembled a sparkler. He said it lasted three to four seconds. NBC 5 viewers emailed and posted on Facebook about seeing the light. Several people said they also heard a "boom." 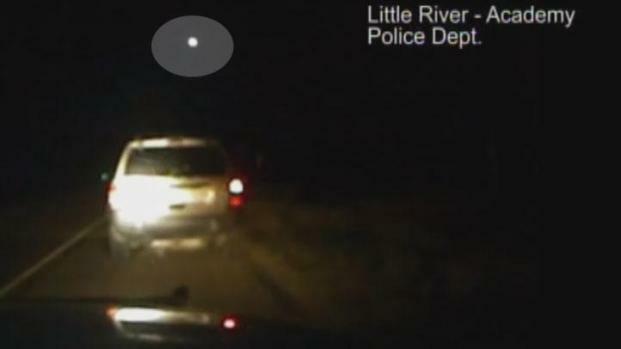 The dashcam in a Little River-Academy Police Department cruiser captured a meteor as it crossed over Bell County. Another video from LunarMeteoriteHungers.blogspot.com shows the meteor moving across the sky. NBC 5 Chief Meteorologist David Finfrock said meteors are quite common. But the size of the fireball in Wednesday's meteor and the accompanying sonic boom are rare, he said. Finfrock said the meteor was seen as far south as San Antonio and as far north as Kansas. If you have photos or video of the meteor, email them to isee@nbcdfw.com.